1 WHAT IS A PERSONAL STATEMENT? 5 WHO CAN PROVIDE PERSONAL STATEMENT ESSAY HELP? A personal statement is one of the two basic types of admissions essays (the other one is a structured question). As a rule, it is used mainly as a part of an application to graduate programs, residencies, law and medical schools. The standard length of university and college personal statement essays is from 500 to 1000 words, and it is recommended not to exceed this limit. The key purpose of writing an admission essay is to provide quite a broad overview of an applicant. 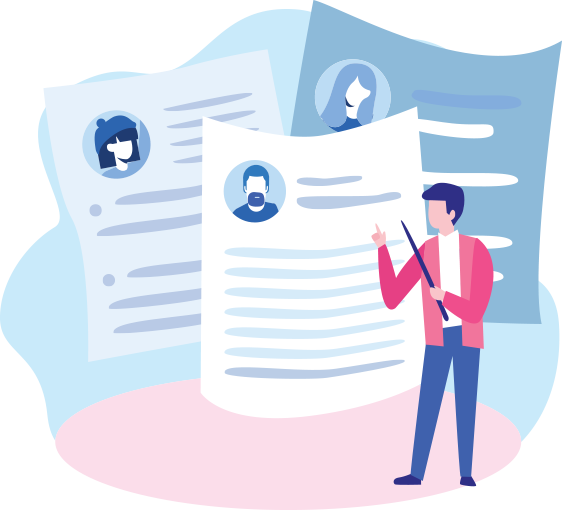 Also, such pieces of custom writing are often used as a source of additional information about an applicant since a lot of companies and academic institutions have their own prompts in case they need to learn some specific facts about their potential employees or students. When writing an academic personal statement, an applicant is usually asked to mention where he or she developed an interest in the chosen field, describe his or her achievements, experience, skills, and, of course, plans for the future career and goals. In the end of a paper, it is also important for an applicant to explain why he or she wants to attend that academic institution. If a person wants to be accepted into university or college of their dreams, he or she has to deal with the fact that a personal statement is one of the most important papers required for that, and, therefore, such piece of custom writing has to be not only brief and informative, but also well-organized, logical, and engaging. As it was mentioned above, personal statement assignment is a chance to describe all your strong sides. And this is a great opportunity to complete an impressive paper, as you are the perfect candidate to tell the most important and interesting details regarding your personality. While writing high school personal statement, try to mention, when have you become interested in the particular filed and why. Also do not forget to mention what sources have you used to learn more about the chosen field. All these facts are crucial to mention, as they will let the committee know why you are the strongest candidate. College personal statement essays are very important as they help to understand your character and your reasons for applying to the college or university. If you decided not to use services, which specialize in writing papers for help, and you are sure that you can cope with the task, let us provide you with several useful tips that will make your life easier. Even few days may be not enough for writing a good personal statement for college. Therefore, it is always necessary to make sure that you have enough time in order not to be pressed by the deadline. When the deadline allows, it is possible to split the assignment into several parts so that you will already have an approximate outline, which will help to organize your work accordingly. It is important not to pretend to be someone else. Be yourself and show all your strengths and your best sides. Your own self-confidence will make your audience confident in your skills as well. Thus, describe everything that has made a great influence on you. The committee will surely appreciate your sincere story. Try to sound professional. If English is not your native language and you are not sure what words are better to use, you are welcome to use programs that can help with appropriate translations and synonyms. While cramming your paper with impressive words, make sure not to overload the text with too many adjectives and adverbs, as it will be hardly readable. Choose the most appropriate words and make sure to remove all the irrelevant phrases. Writing your personal statement for university try to present your uniqueness. Emphasize on the things that make you special and that have influenced your character. It is not an easy task, as all the people are different, and that is what makes everyone actually the same to some extent. However, with the help of a thorough self-exploration, you will definitely find some special qualities, which you have not noticed in the other people around you. If you are still not sure what features will make your audience admire you, it will be useful to interview your friends and ask what your qualities they consider to be unique. Many applicants try to make their student personal statement for college quite standard and universal, but it is a bad idea. Make a research and focus on the program, which offers this or that particular college or university. It would be also great to mention that you have taken some classes that are relevant to the subjects you are willing to learn on the college or university. There is also this big temptation to add some imagined pieces of information into the paper, as it will most probably have a big influence on your future life. However, almost in 100% cases such attempts end in a disaster. Hence, show your strong sides and honesty instead of pretending to be someone else, as many people value positive personal qualities more than some impressive achievements. While writing your personal statement for university, stick to the directions and try to say everything you want in one page. This requirement is very important and if you do not follow it, the committee may ignore your paper. Therefore, it is crucial to be clear and follow the demands. If you manage to stick to the required word limit, the committee will see that you are attentive and able to follow the requirements. There are many beautifully composed statements and word phrases. The problem is that the majority of them was already used so many times that the admission officers have already learned them by heart. Your wish to make your text more appealing is totally understandable. However, it is highly advisable to avoid often-repeated phrases and substitute them with simple but original thoughts. It may seem that the paper sounds great but it would be better to read it out loud several times to family or friends. It may turn out that there is no cohesion. You will be able to correct everything after reading the paper aloud and determining where you have made mistakes. After you have mentioned all your skills and reasons for applying, it is time to compose a memorable conclusion. Tell the admission officers how the chosen field will help you achieve your goals. Your conclusion should summarize everything you have stated before and leave your audience with an impression that you are the perfect candidate from all the possible ones. It is unnecessary to present some new impressive statements here. Just make sure to conclude everything mentioned before and leave a good impression. Surely, it is advisable to cover all these tips and apply them to your paper. Although they are not that complex, in order to stick to them, one should have a relevant deadline to double-check the application of the tips and ensure the success of the paper in general. Unfortunately, time is a luxury and sometimes we run out of it too fast while working on some particular assignment. One may think that it is hardly possible to create a high-quality paper within 6 hours and meet all the demands. However, our skilled team of the professional personal statement writers has enough experience to accomplish even the most urgent orders within the deadline chosen by you, still ensuring the highest quality of the completed assignment. Moreover, in case you are worried about the progress of your paper, you can always contact the Customer Support Team and they will be glad to answer all your questions regarding your order and the Pro-Papers services in general. Placing an order with us is a guarantee of timely delivery and high quality, so there is no need to worry. No matter what deadline you want to choose, we will surely accomplish the assignment within the given timeframe. The notable fact is that we never neglect accuracy, either you give us 14 days or 6 hours. The paper for each educational institution has specific requirements and requires specific approach. The student personal statement for college is not an exception, so you should be ready to spend a lot of time and efforts in order to receive a positive result. Usually, the applicants get very nervous when it comes to writing the admission papers, however when taking into account all the recommendations and tips, the writing process will not be that stressful. For example, make sure not to cling to your GPA results and tests’ scores. Such information is useful, but your audience is much more interested in reviewing the way you can apply the acquired skills in order to estimate them themselves. Therefore, your main task is to expose all your knowledge and skills in the best way possible, making sure to support them with the relevant facts. The tricky detail about the relevant facts is that they can be pretty boring. So you main task is to provide them in such a way that your audience will not even notice that those interesting stories were some monotonous statements initially. Turn the facts from your biography into a breathtaking story, so that the admission officers would like to know the continuation and also contribute to the continuation of your growth. The magical trick is that when you yourself are interested in your paper, your audience will definitely feel your interest and enthusiasm. Do not be shy or embarrassed in case you do not have that many impressive stories to tell. Keep in mind that even the smallest achievements are still achievements, and you are only beginning the long road of victories and success. When the high school is over, it is time to think about the university. Writing personal statement for applying to university also has some specifics one needs to remember. If you are going to apply to several establishments, you should know that the questions may be similar and it is a bad idea to create one answer to them. Spend some time and make sure to answer every question in a unique manner. Try to start every paper with a clear head, as if you have not written a couple of similar assignments before, because it will definitely help to get some fresh thoughts and inspiration. As many universities and colleges offer scholarships, why not to apply for it? Being specific will greatly help you in writing a scholarship essay personal statement. If you say that you are the best candidate for receiving a scholarship, provide the strong reasons for that. Do not make empty statements, as they will most probably only make the admissions angry for wasting their time. Many students apply for a scholarship, so the competition in this case is very high. This is why it is utterly important to create a high-quality paper not to waste the chance, which can influence your future. While describing your best sides, it is better not to use complicated language – be clear and concise instead. While writing Masters personal statement you will most probably create several samples for several universities. Though you can use the same outline for all of them, it is utterly important to fill it with diverse information. Make sure to check the websites of every university and read the articles posted there in order to figure out what personal features and achievements are valued by every of them. This will help you to use the special approach and show the sides, which a particular educational establishment appreciates. The same approach is necessary while writing a personal statement for PhD. Do not underestimate the importance of this document and make sure to dedicate enough time for the creation process. It will not do you any harm to finish the work on the project beforehand so that you will have a possibility to present it to your friends or family. The fresh look will help you to correct some disputable details and the flow of the text in general. If you are working on the MBA personal statement essay, keep in mind that you will need to answer the questions regarding your paper during the interview. So, be ready to expand a little bit more deeply on every point specified initially. WHO CAN PROVIDE PERSONAL STATEMENT ESSAY HELP? Needless to say, even if it is too early for you to make a decision upon some particular university, writing your personal statement for graduate school is not an easy task to perform as well. In comparison to the academic papers, which are later published in the academic journals, admission papers are much shorter. Despite the fact that it has to be brief, getting admission papers written is quite stressful, because you have to describe your strengths and flaws accurately. You need to be very careful about the information you present not to overload the paper with relevant but excessive facts. Keep in mind that it is better to highlight three-four important points and make sure to organize them properly, as your future audience will definitely appreciate a clear and well-organized project. When you face all these challenging tasks, it is natural that thoughts like “I would rather pay someone to write my personal statement” appear in your mind. In most cases, the requirements for the essay are specified beforehand, which makes the creation process much easier, as you already have the approximate topic and the outline. Your only task will be to create one more plan just for yourself, which will help you to present your personal information in the best light. And, last but not the least, it is utterly important to make sure that your paper has no grammar or vocabulary mistakes. Of course, as long as you have inspiration, you try to write down the most important ideas and facts and do not pay enough attention to the typos and mistakes. However, the impression even from the most perfectly written paper will fade due to a big amount of mistakes, which will influence the readability of the text in a very bad way. Therefore, many people who are not sure that their academic writing skills are good enough often look for personal statement writer online. Of course, there is always a hope to find a great sample or example for free. However, we do not recommend using papers that you can find on the Internet as a basis for your paper since it can show a very high level of plagiarism later, which is a quite serious issue. It is definitely not worth putting your academic career at stake like that. Instead, you could use our professional personal statement writing services and get a work written for you from scratch. This way you will get an absolutely original document that you and your admissions officer will be satisfied with. Our company hires only the most skilled and talented writers that you can always rely on. We understand the importance of writing a personal statement and its impact on an applicant's career, and therefore, we always make sure that all standards and requirements are met. Our main goal is to help our customers in the most sufficient way and provide them with the high-quality papers only. In case, you do not have enough time or inspiration to work on the complex and time-consuming assignments, and decided to purchase college admissions, we will be glad to cover your back and deliver an excellent paper even within the shortest deadline. We cherish and respect every single one of you, which is why you can buy even the most complex academic writing and creative writing tasks at lowest prices. We have great discount system for new and regular customers, so even if you are a student, you can easily buy a paper from us. Moreover, our Customer Support can be contacted anytime, so you can discuss all the details and ask any questions regarding your order. Our graduate school personal statement writing service is available 24/7, and therefore you can place even the most urgent orders and still get your custom papers written within the specified deadlines.